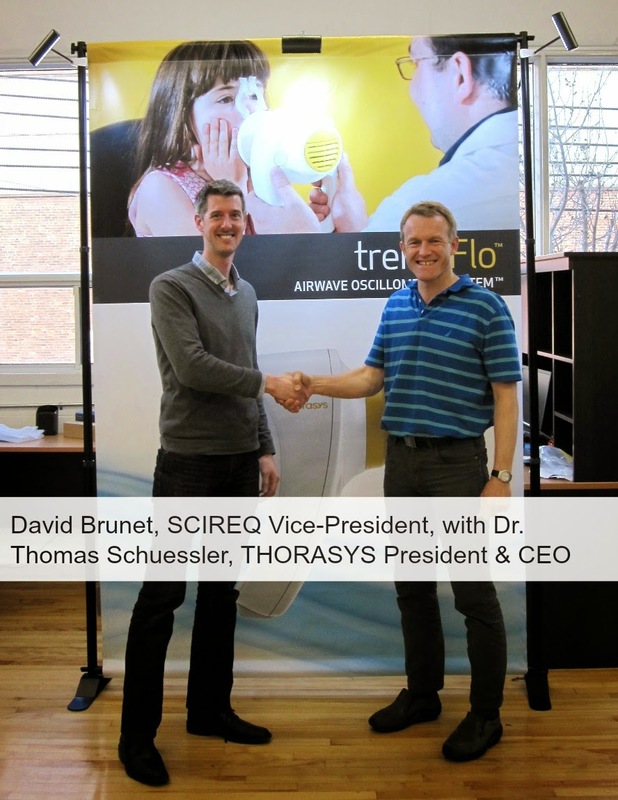 All of us at emka TECHNOLOGIES & SCIREQ are excited to announce that we have partnered with THORASYS Thoracic Medical Systems Inc. to offer the tremoFlo P-100, a highly detailed and reproducible Airway Oscillometry System (AOS) for lung function testing in large animals. The tremoFlo AOS is a portable lung function testing instrument that can measure respiratory mechanics in large animals (dogs, NHPs) non-invasively. 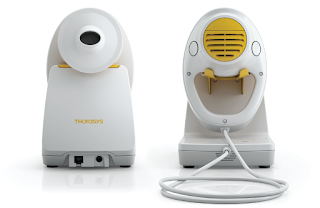 The system comprises a lightweight handheld device attached to a cradle unit. Subjects breathe directly into the handheld unit during measurements via a disposable anti-bacterial/viral filter and a subject mask. The tremoFlo software provides subject management, testing and result interpretation capabilities. Exploratory toxicology, cross-reactivity studies, and more! As recognized leaders in pre-clinical science, emka TECHNOLOGIES and SCIREQ have helped scientists uncover novel insights into disease mechanisms and evaluate therapeutic approaches that target the respiratory, cardiovascular and neurological functions. We are proud to add the tremoFlo P-100 to our list of respiratory solutions used to enhance your research.